Our management team brings a wealth of business, technical and management experience to the company. In many cases, spanning decades working in a number of well-known and highly successful Life Sciences companies. Under their leadership, Sphere Fluidics has progressed from a promising start-up into an internationally-recognised tools provider firm holding 85 patents. We have evolved our strategy from providing biochips and specialist chemicals to commercialising high value single cell analysis systems that enable therapeutic discovery. This team has identified addressable markets of over £38 billion for our technology. 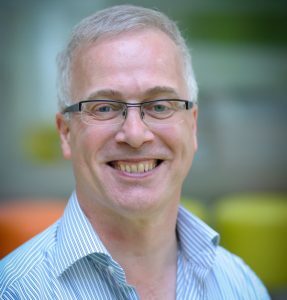 Dr Craig has around 20 years of international, general management experience gained from GlaxoSmithKline, Amersham Biosciences (as a Vice-President of R&D and which later merged to form GE Healthcare Life Sciences), and several start-up firms. He was responsible for driving the product development of the widely known and utilised biological tool, Green Fluorescent Protein (first identified by the 2008 Nobel Prize Winners for Chemistry), as well as many other cell-based products, systems and services for the Life Sciences industry. Frank was a co-Founder and Vice-President of Aurora Biosciences (San Diego, USA), which had a peak market cap. of £1.8 billion and was acquired by Vertex Pharmaceuticals for £420 million. He was also a co-Founder and CEO of Smart Holograms (Cambridge, UK), which was previously named as the UK’s Fastest Growing Company. Frank has raised around £30 million in Angel and Venture Capital investment, £2 million in loans and £25 million via an IPO on NASDAQ and has delivered many commercial partnerships with global Life Sciences firms, resulting in recorded deal values of £180 million. 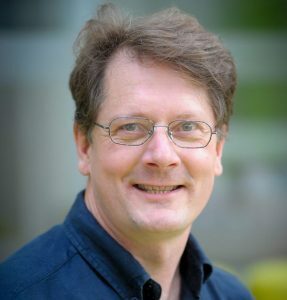 He has been a Board Director of Smart Holograms and TekCel (Hopkinton, USA), and helped form Sphere Fluidics before becoming its CEO in May 2010. He is now also President of Sphere Fluidics Incorporated which is based near Monmouth Junction, New Jersey, USA. He has a PhD in Cell Biology and Microbiology from Glasgow University and an MBA from Warwick Business School. Dr Marchmont brings more than 25 years of experience in privately-owned and publicly-traded Life Sciences companies to Sphere Fluidics. 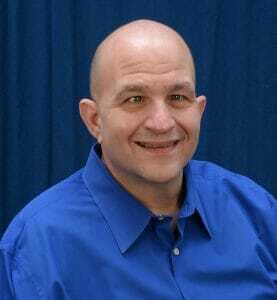 He has a proven track record in business development, technical selling and strategic marketing. 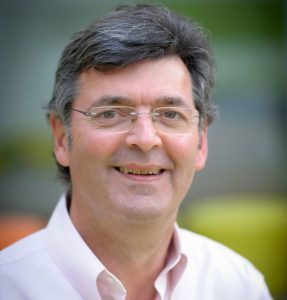 Previously, Rob has held various senior commercial roles, such as the General Manager EMEA at NanoInk Incorporated, CEO of TotalLab, European Business Director for Protein Forest Inc. and Global Marketing Director for GE Healthcare’s Life Sciences Division (where he was responsible for strategic marketing and product portfolio development for its Protein Detection and Analysis business segment). Dr Marchmont has a BSc in Biochemistry and PhD in Membrane Biochemistry from the University of Manchester. He also carried out 3 years’ post-doctoral research in targeted, monoclonal antibody research at the Paterson Institute for Cancer Research, UK. Dr Rehak is responsible for the management of all Research and Development (R&D) and Manufacturing activities at Sphere Fluidics. He has a strong research background and more than 20 years’ experience in industrial and academic R&D environments. Marian has led several R&D teams to deliver novel platforms for application within the Life Science, drug discovery and the diagnostic sectors. Following a series of post-doctoral research positions at the University of Tokyo, the Weizmann Institute and the University of Cambridge, Marian held a number of R&D related roles at several biotechnology companies, including Akubio, Unipath and DxTech, in addition to a leading technology development consultancy. During these engagements, Marian, as a leader and a member of Senior R&D teams, was responsible for R&D and the manufacturing of point-of-care and Life Science instrumentation, over-the-counter diagnostics, fluidics and biosensor chip assemblies. Craig Cardella is the Vice-President of Sales and a General Manager of Sphere Fluidics Inc, an established subsidiary of Sphere Fluidics Ltd. The company is strategically based in Trenton, New Jersey. Craig brings with him over 20 years of laboratory and industry experience with a proven track record in Applications, Sales and Sales Management. He has been won numerous awards and gained high recognition in sales and support over the course of his career. Craig started out working in an HTS and robotics lab at Boehringer Ingelheim gaining invaluable experience and insight in high throughput screening, automating bench assays, creating robotic systems and providing support for the company’s cell culture facility. Craig’s love for automation and robotics helped him transition into the commercial world. He has held various roles of increasing responsibility ranging from Applications Support to Sales Executive with such companies as Perkin-Elmer, Thermo-Electron Lab Automation (now Thermo-Fisher), Matrical Bioscience (now Brooks Automation) and Caliper Life Sciences (now Perkin-Elmer). Craig most recently held the position of co-Founder and President of Scienion US. He established the latter US subsidiary and offices and managed a team of sales, service and laboratory personnel. Craig has a BSc in Biochemistry from the University of Connecticut. Andrew Campbell brings more than 25 years of experience in finance and accounting in the UK and internationally at businesses ranging from early-stage to international, listed corporates. At Sphere Fluidics, Andrew is responsible for leading accounting, reporting, financial and cash management. Andrew is experienced in working in the Life Science sector having held positions at PerkinElmer Inc & Charles River Inc. More recently, he was the finance lead for Credit 360 Ltd during its acquisition by UL Inc and oversaw both the due-diligence and integration for finance. Andrew is CIMA qualified, has experience in UK and US GAAP and has gained accreditation for both Six Sigma and Lean-training. He holds an HND in Business and Finance which he gained from the University of Huddersfield. Rob is responsible for the Manufacturing, Supply Chain, Distribution and Quality Operations at Sphere Fluidics. 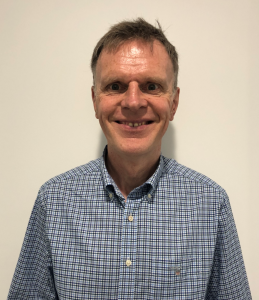 Rob has experience of running large Logistics and Supply teams within the Biotech sector during sustained periods of rapid growth for both Abcam PLC and Axol Biosciences Ltd. He has designed and implemented inventory strategies, developed novel distribution processes and has opened new company sites in territories including the US, China & Australia. Rob is a former Captain in the British Army (Royal Logistics Corp) and has a broad range of international experience in supply chain and procurement management. Rob is qualified in Lean Six Sigma and is passionate about quality, efficiency and continuous improvement. He holds a BA (Hons) in Business from DeMontfort University. 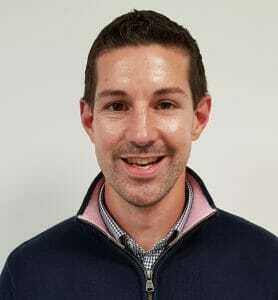 Matthew is an experienced Distribution Manager with a demonstrated history of working in the biotechnology industry. For the past 17 years Matthew has gained invaluable skills in Sales, Medical Devices, Life Sciences, Business Development, and International Business. 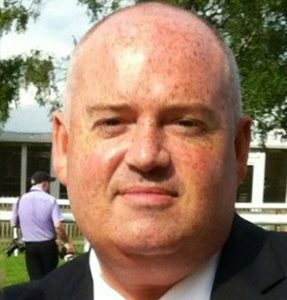 Matthew has held various distribution and senior management roles such as the Senior Divisional Manager for Synoptics Limited, EMEA Sales Manager for Corning Inc, International Sales Manager for Labnet Inc. and Sales Director for UVItec Limited. He has also carried out post-master’s field work in Cameroon studying the link between the disease Loa Loa and the vector Chrysops. Matthew has a Master’s degree in Applied Parasitology and Medical Entomology from The Liverpool School of Tropical Medicine.